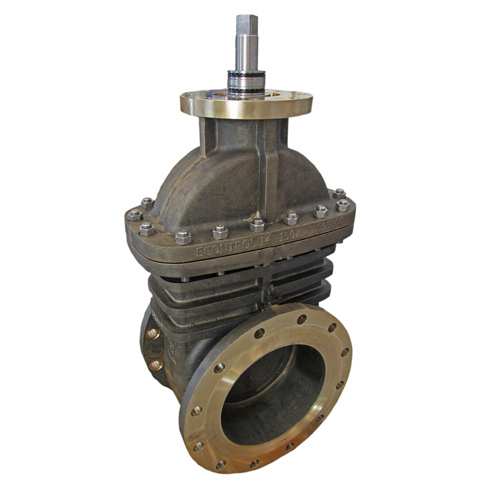 ECONTROL Post Indicator Valves VG-100-PIV series are designed to operate non-rising stem (inside screw) gate valves of our VG series, which are used to control an underground water supply to automatic sprinkler, water spray deluge, fire water line, foam-water deluge, or standpipe fire protection systems. 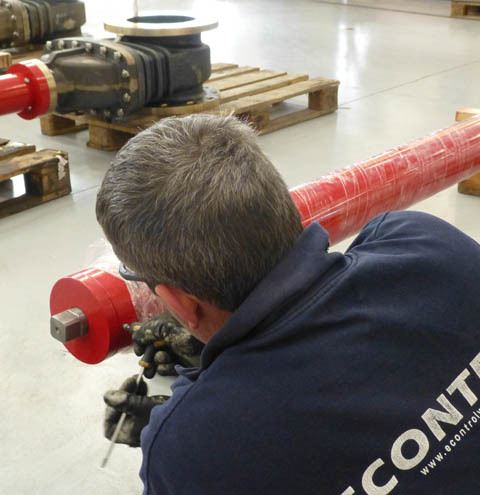 PIV permit operation of underground valves while providing an above ground useful visual indication as to whether the valves are open or shut, in addition to a means for locking the valves in a particular position. 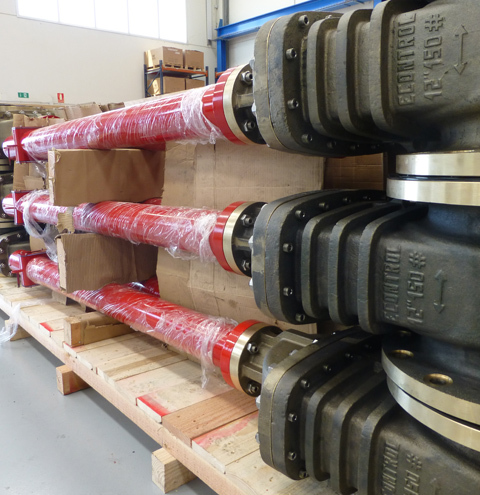 The valve posts provide for valve operation from outside of the protected property and therefore the opportunity for immediate valve operation in an emergency situation. VG-100-PIV feature a telescoping stem that can be adjusted to its final position without field cutting of the stem. 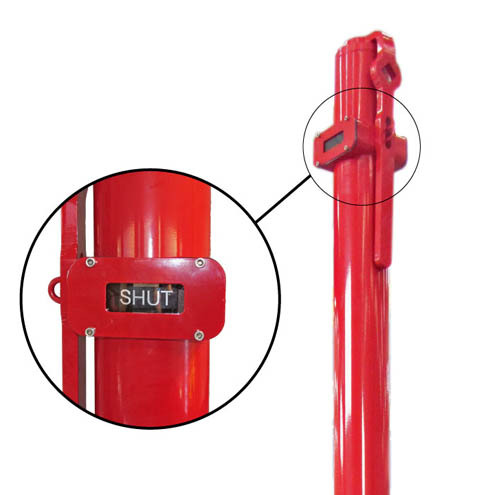 This solution also permit easier setting of the “OPEN” and “SHUT” visual plates (before the post reaches its final position); easier adjustment of the post length during the initial installation; and, ready re-adjustment of the post length, if there is a modification in the location of the final grade. 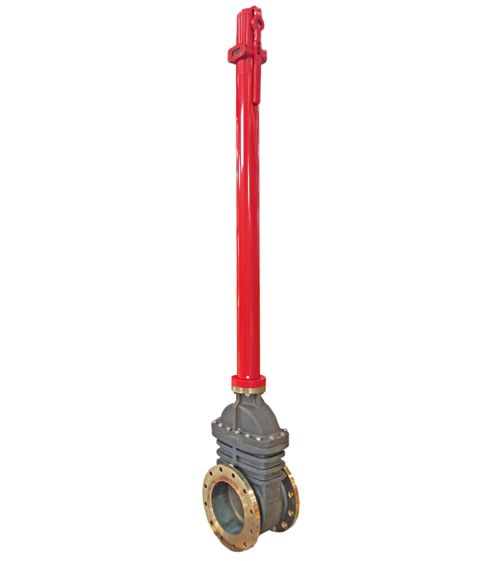 VG-100-PIV A series accommodate 4” to 14” size post indicator valves (PIV) requiring 14 to 43 turns to open and that are listed or approved for fire protection system service. 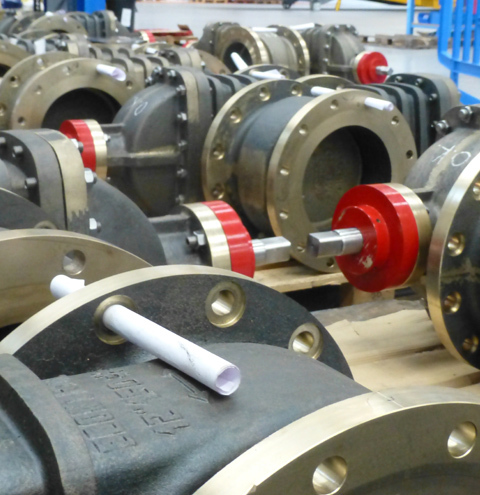 The B series will accommodate 16” to 24” size post indicator valves requiring 49 to 75 turns to open. 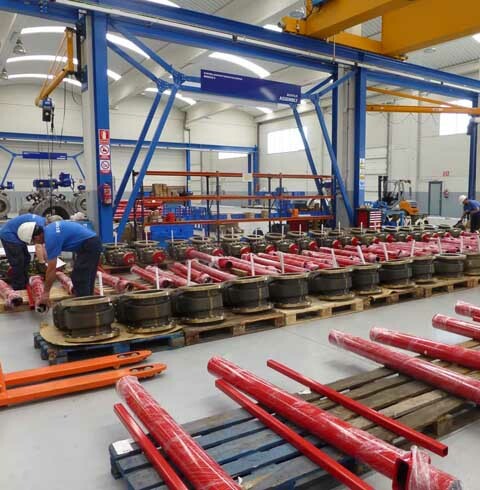 Indicator Posts are standard for use with left hand opening valves; however, they may be provided upon request with right hand opening valves or converted in the field for use with a right hand opening valve by changing the left hand opening post head to a right hand opening. As an additional feature, VG-100-PIV series allow direct attachment of a 1/2 inch NPT mounting electric supervisory switching device which can be used by proprietary and central stations to monitor the open position of the Indicator Post.